When lovely, young Judith Raleigh is forced to take a position as personal secretary to the handsome but somehow sinister Geoffrey Morehouse, she is drawn into a world of terror and dangerous secrets. Our first woman is the young, the lovely, the financially insecure Judith Raleigh -who finds herself stranded in London without a penny to her name when the theatrical company she works for goes bust. This being 1912, Judith has no qualms about finding work to support herself, so she answers an ad to work as a secretary for a prominent historian who resides at the illustrious sounding 77 Chelsea South. Arriving one godless evening for her interview, Judith is greeted by a fog enshrouded gloom teeming with unspeakable terrors; howling dogs, flitting shadows and sinister, masked faces all conspire to make her first impression of number 77 a terrifying one. For Judith it is all too much and she faints on the threshold just as her prospective boss opens the door. Enter Geoffrey Morehouse esq. He’s tall, strangely striking and with a touch of the night about him. His first impressions of Judith aren’t too favourable but he hires her on the spot, despite the fact she has no job references and has a habit of passing out at interviews. Geoffrey is keen to get on with his book first thing in the morning, insisting there’s no need for Judith to leave the house that night. Leading Judith to her new tapioca-coloured quarters, he is considerate enough to supply her with a fresh set of feminine bed-wear and other such ‘unmentionables’ – explaining he can send someone out to collect her belongings later. Judith gets ready for bed. Her room is nice, her new silk undergarments even nicer – for not only are they lovely and expensive, they are a perfect fit. (A note to all you Gothic ladies-in-waiting out there – despite being a frequent occurrence in this genre, when your leading man starts dressing you in his wife’s / girlfriend’s / sister’s clothes it is NEVER a good sign, especially when they fit perfectly). We soon find out these garments belong to Geoffrey’s spouse. Cue woman number two, Geoffrey’s disabled wife Olivia, who walks with a cane, lives in the attic and never ventures down to the lower floors without assistance. Judith is at first a little scared of ol’ Livvy but, apart from the annoyingly persistent thump- thumping of her cane, Olivia does little to get in the way of Judith’s budding romance with her new employer. Not so woman number three. For the more Judith finds herself falling in love with Geoffrey, the more she is tormented by strange dreams and terrifying experiences. A ghost or not a ghost? That is the question Judith finds herself asking as her nights become evermore filled with fear. Someone else is living at number 77, someone who rocks its walls with tortured moans and wailing sighs. Someone who wants Judith Raleigh dead. As this story reaches its infernal climax, it transpires Geoffrey Morehouse is more than a man with strange nocturnal habits, he is also a man with deadly secrets…. The Third Woman is an exuberantly written, wonderfully insane novel with a plot that doesn’t quite stand up to scrutiny but is great fun to read. Imagine your boss handing you a copy of Jane Eyre then giving you half an hour or so to come up with something similar. 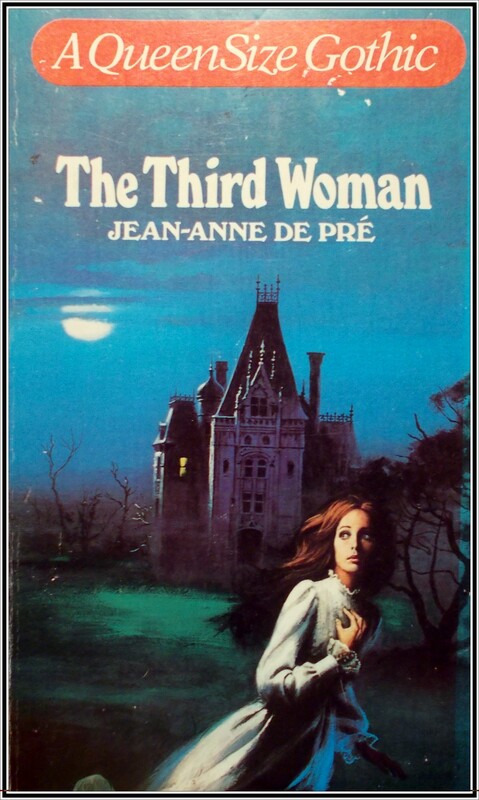 Not surprising then to find out Jean-Anne De Pre is a pseudonym for the supernaturally prolific Michael Avallone – who wrote at least a zillion novels in just about every genre imaginable. This book is for Anna Mary Wells – a very dear preceptor of my own. Preceptor…. an interesting choice of word (ashamed to say I had to look it up!). I’m guessing this is the same Anna Mary Wells whose book is reviewed over at the ever-informative Pretty Sinister Books blog. And there’s a great article chronicling Michael Avallone’s career on The Thrilling Detective website. It’s peppered with hilarious anecdotes, my favourite being Mr Avallone’s love of puns, as evidenced by such titles as The Cunning Linguist, Turn the Other Sheik and The Alarming Clock! The Third Woman gets three out of four stars – with extra marks given for the incredibly inventive, karmic twist in the tale utilising the disastrous maiden voyage of the Titanic in order to meter out justice where justice was due. Hi Sara. The cover is by Hector Garrido. Thanks Ruben, you’re a star! I love this cover, the detail of the house is amazing. That IS a great cover. 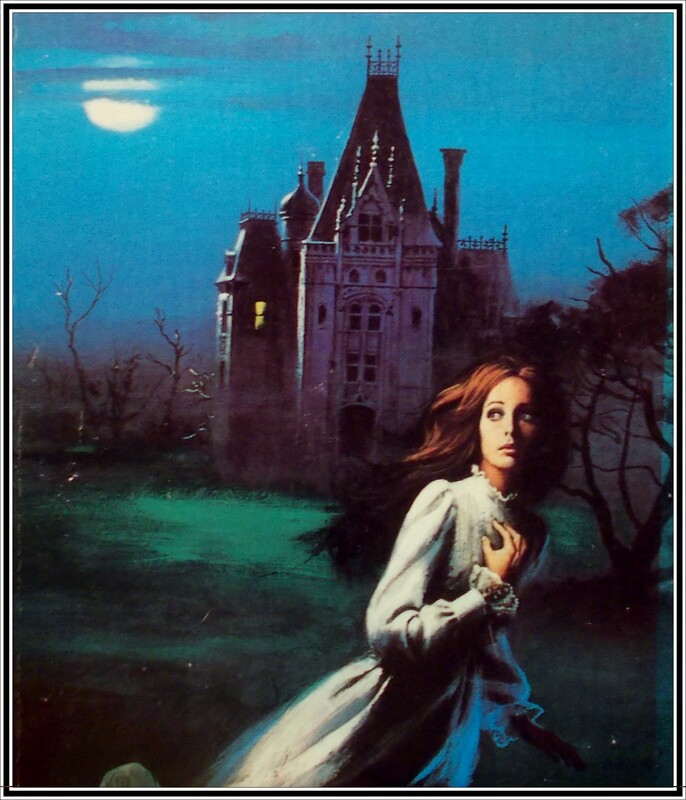 Classic Gothic Romance. It is isn’t it? 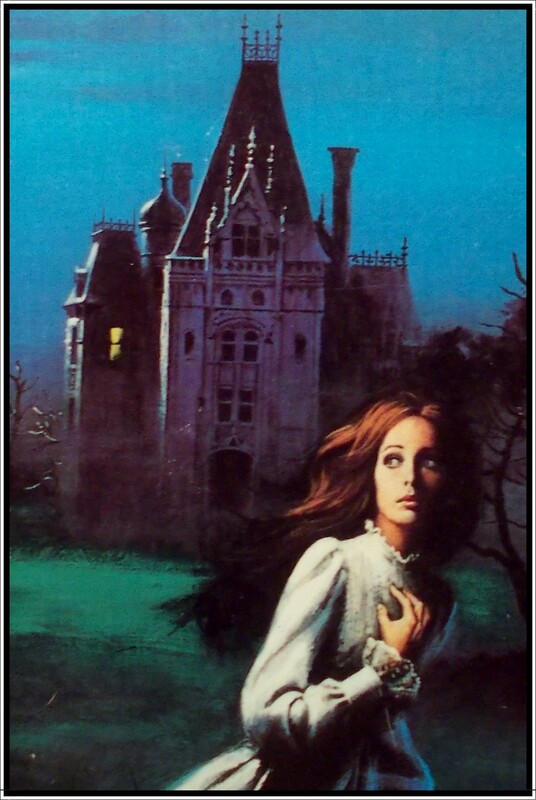 And surprisingly it’s a gothic published in the UK – they don’t usually have such nice covers but this one is great! I just wanted to say how much I love this blog and appreciate you taking the time to scan these novel covers. I am a beginning artist and find great inspiration in many of these covers (which wouldn’t be available online if it weren’t for your work). Thank you Sarah.